Much debate has arisen over President Trump’s decision / campaign promise to “build a wall” to deter illegal immigration across the Mexican border. 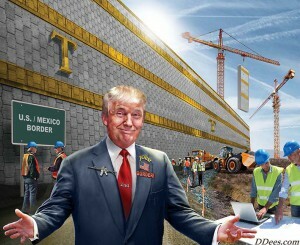 A February 2016 Rasmussen poll found 70 percent of Republican voters – and 51 percent of voters overall – support Trump’s border wall plan. 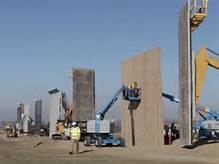 The “wall” will most likely be re-enforced precast concrete, vertical steel erected like highway noise barrier at 20′ high. Going rate (along our highways) about $1.5 million per mile. However, there is already some form of wall or barrier along some 650 miles of the border. But let’s say we wanted all the border to have nice new bight and shiny wall to make it pretty. Then the total construction would be around $2,899,000,000.00 ($2.9 Billion). Installed. Trump’s estimate was $8 to $10 Billion. And given the efficiency of government and government contractors, he’s probably not all that far off. As to the number of Border Patrol agents required to cover 3 shifts, there are already 21,000 US Border Patrol Agents. Only about 2/3rds of those are along the Mexican border. Beginning about 2009 they have been hampered in enforcing the law by presidential decree. The agents are already trained, equipped, outfitted, and anxious to get back to doing their damn jobs. They are assisted by dogs, horses, drones, night vision cameras, night vision goggles, boats, airboats, hover craft, helicopters, planes and aerostats, thermal imagers, first rate communications arrays, ground sensors, and some of the best detection equipment the US can buy. The only thing they haven’t had in the past eight years is permission to do their damn jobs. At the National Police Shooting Championships in 2012, Border Patrol agents placed first, second or third in each of the 29 shooting matches. Why is that important? 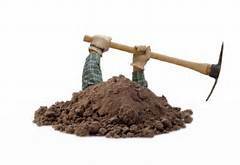 31 BP agents have been shot to death by illegal aliens during illegal crossings and arrests. 2 have been stabbed to death, 4 have been run over deliberately resulting in their deaths. Even the Mexican army has shot at BP agents and the Mexican army has invaded US territory at least twice in this century. So that means that the $21 Billion just grew to more than $200 Billion. In other words, a $3 Billion dollar wall coupled with a fee to send US dollars by illegal aliens will pay for the wall in about a month. But that won’t stem the tide of money leaving. It will, however, help stem the tide of illegal aliens. Featured Image: US-mexico border. SOURCE: Wikipedia Commons. (Public-Domain). Featured Image: Cochise County Courthouse — Bisbee, Arizona. CREDIT: Cornellrockey04 SOURCE: Wikipedia Commons (This file is licensed under the Creative Commons Attribution-Share Alike 2.5 Generic license). SIERRA VISTA, Arizona — Cochise County Sheriff Mark Dannels doesn’t mince words. He’s angry that local law enforcement and the citizens who call the Southwest border home have been left out of the decision making process when it comes to security and immigration reform. Who watches the watchers circling overhead in U.S. skies? 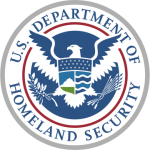 Acongressional hearing on the possible risks of domestic drones lamented the absence of the U.S. Department of Homeland Security and its failure to step up to take responsibility. “It should not take a 9/11 style attack by a terrorist organization such as Hezbollah or a lone wolf- inspired event to cause DHS (Department of Homeland Security) to develop guidance addressing the security implications of domestic drones,” McCaul said in his opening remarks on July 19. Every day, hundreds of people cross the border illegally into the Arizona desert. In Tucson, the Border Patrol uses a wide mesh of technology to try to stop them. CNET Road Trip checks it out. TUCSON, Ariz.–It’s summer in the Southwest, and there may not be a hotter border anywhere in the United States. For one thing, the mercury is easily over a hundred every day. And then there’s the steady flow of organized smugglers trying to sneak themselves and their substantial cargo — of migrants and/or drugs — across Mexico’s long desert frontier with Arizona. There are nine U.S. Border Patrol sectors stretching across America’s southwestern frontier. And back in 2000, the agency was snagging more than 2,000 people a day for crossing illegally into its Tucson sector — which is responsible for 262 linear miles of border and about 90,000 square miles of territory — making it one of the busiest. This is great news and too long in coming. What I’ll be watching for is for the Controllers to use their MSM to play Brian Terry’s murder case up to the hilt and at the same time move the Fast and Furious investigation back into the shadows. The Justice Department on Monday unsealed an indictment charging five individuals allegedly involved in Border Patrol agent Brian Terry’s death, and announced a reward of up to $1 million for information leading to the arrest of those suspects still at large. Are you ready to meet the challenge of becoming a Border Patrol Agent? Visit http://www.BorderPatrolRecruiter.com for more information and videos.